The iron blade of an ornate dagger buried with Egypt’s King Tutankhamen in the 14th century B.C. likely came from a fallen meteorite, according to a new study. In 1925, three years after discovering Tutankhamen’s largely intact tomb in the Valley of the Kings near Luxor (ancient Thebes), the English archaeologist Howard Carter found two daggers hidden in the folds of material wrapped around the pharaoh’s mummified body. 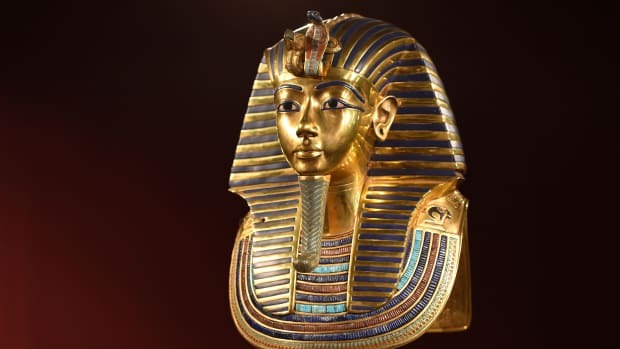 In the wrappings on Tut’s right thigh, he found an iron blade with a decorated gold handle ending in a round crystal knob, encased in an ornate gold sheath decorated in a pattern of feathers, lilies and the head of a jackal. 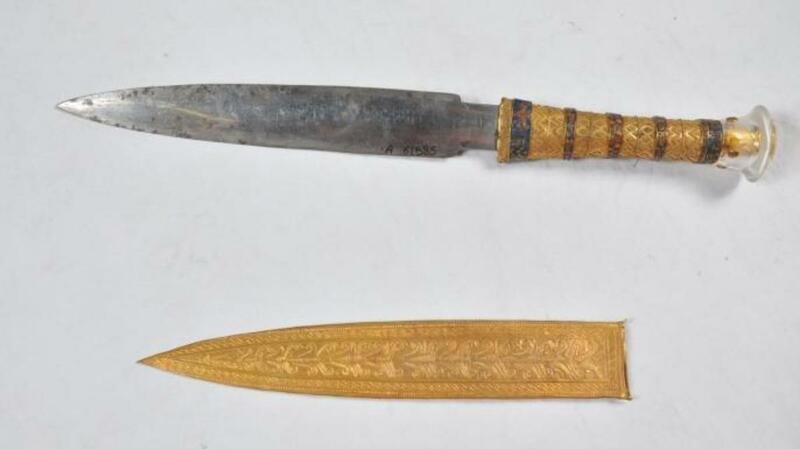 The second blade, found near Tut’s abdomen, was of gold. 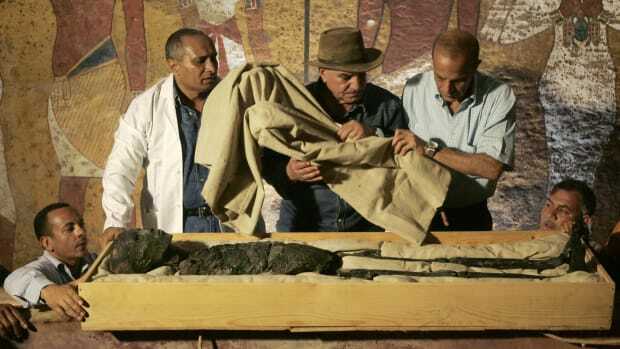 Earlier examinations of the iron dagger found in King Tut’s tomb in the 1970s and 1990s probed the possibility that its blade came from a meteorite. Their findings were inconclusive or controversial, at best. Recently, however, a team of Italian and Egyptian researchers took advantage of new technology—specifically a technique called portable X-ray fluorescence spectrometry—to take another look. According to their findings, published this week in the journal Meteorites and Planetary Science, the blade’s composition of iron, nickel and cobalt “strongly suggests an extraterrestrial origin.” What’s more, it is nearly identical to the composition of a meteor found in the seaport city of Marsa Matruh, 150 miles west of Alexandria. 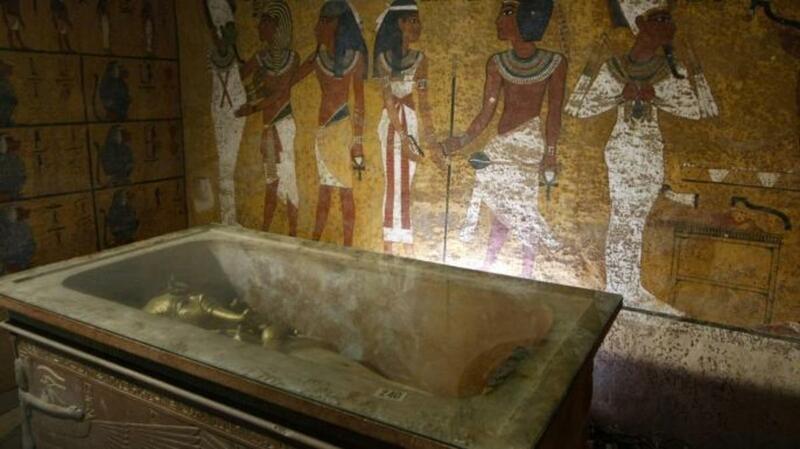 Researchers from Polytechnic University of Milan, the University of Pisa in Italy and the Egyptian Museum in Cairo led the new study, which compared the iron of the blade found in Tut’s tomb with 11 meteorites that fell within a radius of 1,250 miles. Made of mostly iron, plus 10.8 percent nickel and 0.58 percent cobalt, the blade matched up closely with the meteorite known as Kharga, which was discovered near Marsa Matruh in 2000. In 2009, a separate study found that the oldest Egyptian iron artifacts found to date—nine small beads dating to around 3200 B.C. discovered in a tomb in Gerzeh (Egypt)—were made of meteoritic iron, which had been carefully hammered into thin sheets. 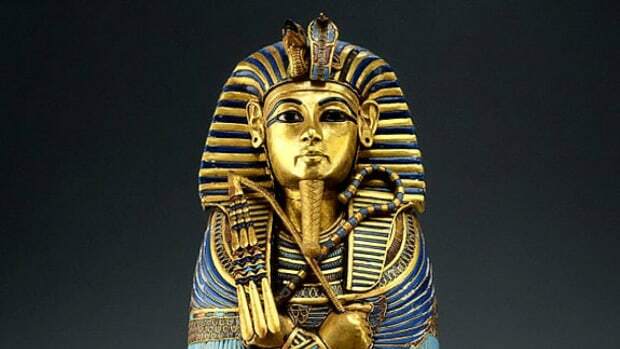 The authors of the new study hope that their examination of Tut’s dagger will provide further insight into the use of meteoric iron in the young pharaoh’s time and help archaeologists reconstruct the evolution of metalworking technology in Egypt and the Mediterranean. 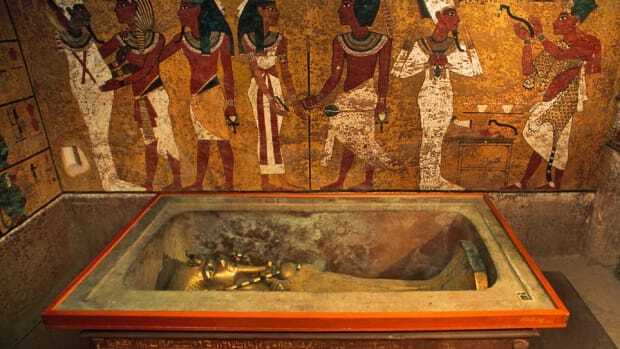 Nearly a century after Carter’s discovery, Tutankhamen’s 3,300-year-old tomb continues to be an object of fascination and study—not to mention controversy. 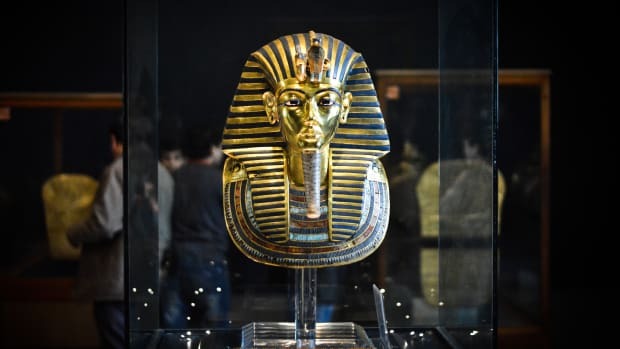 Earlier this year, the Egyptian government said eight workers at the state-run Egyptian Museum would be disciplined for their role in damage caused to King Tut’s golden burial mask during repairs of a light fixture in its display case. Even more recently, Egyptian antiquities officials announced last month that a deeper analysis of radar scans showed that organic material or metal could be hidden behind the walls of Tut’s tomb. The officials have been pursuing a controversial theory—proposed in 2015 by the British archaeologist Nicholas Reeves—that the long-lost tomb of another ancient Egyptian icon, Queen Nefertiti, may be concealed behind Tut’s burial chamber. Nefertiti was the chief wife of Akhenaten, Tut’s predecessor on the throne (and possibly his father).